If you're ambitious, maybe you can relate. I'm currently in this really exciting but really crazy period of my life - I graduated from college in May and I'm currently working as a fellow/intern in my governor's office until December. But since graduation, I've also been working on a few other projects. And when I say a few, I mean like 10. It's a lot. And I love it, but it's a lot. It wasn't until I took a few minutes to sit down in a quiet room and just breathe and think about what all I'm working on, to realize that I'm working on entirely too much all at once. I can't possibly focus enough energy on all of my goals at one time, and I refuse to try that anymore. Over ambition is the recipe for under dedication to yourself and your personal life. I think that ambitious people have a tendency of becoming too ambitious. We also have a tendency to compare our success to others. But back to being over ambitious. I have so many goals, dreams, and passions both professionally and personally that I want to achieve. And I realized during my quiet time that I've been trying to spread myself too thin by trying to achieve all of those things all at once. 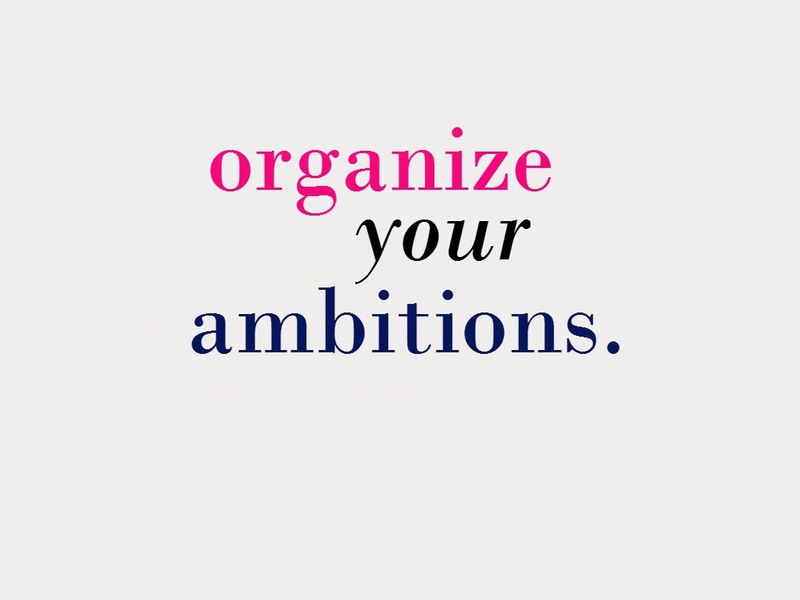 I also realized that I need to organize my ambitions. Just like organizing anything else -- creating a plan of attack, steps to achievement, and small goals -- organizing ambitions works the same way. I made a list of every goal I could think of, both professional and personal. This included the entrepreneurial goals I have as well. And I then organized the list by what I want to accomplish within a year, then within 5 years, and what I would like to accomplish some day. I call them my now ambitions, soon ambitions, and then ambitions to take some pressure off by not having super strict deadlines. I think specifically planning out life past five years is a little extreme and may only cause anxiety. My blog/RCSOATL - I love blogging, and love this blog. It grows more each week and I plan to continue this blog for as long as I enjoy doing it. My book - The book I published in January is still selling and I've had great opportunities to speak to younger students and help them anyway I can with following their dreams. I have a goal to sell 1,000 copies by December. You can order one here. My job - I really enjoy my 8-5 job in the governor's office. It's shown me that I want to work in politics/government and I'm even considering running for office one day. Nonprofit work - I've recently gotten very involved with a non-profit here in Atlanta called Foreverfamily. The work I do for that organization is enjoyable and it makes me happy knowing it's helping others. Communications consulting for startups - For most of this year, I've been doing some work for friends and classmates who have startups in Atlanta. Since I have such a strong background in communications, I've been able to offer consulting to them in this area. 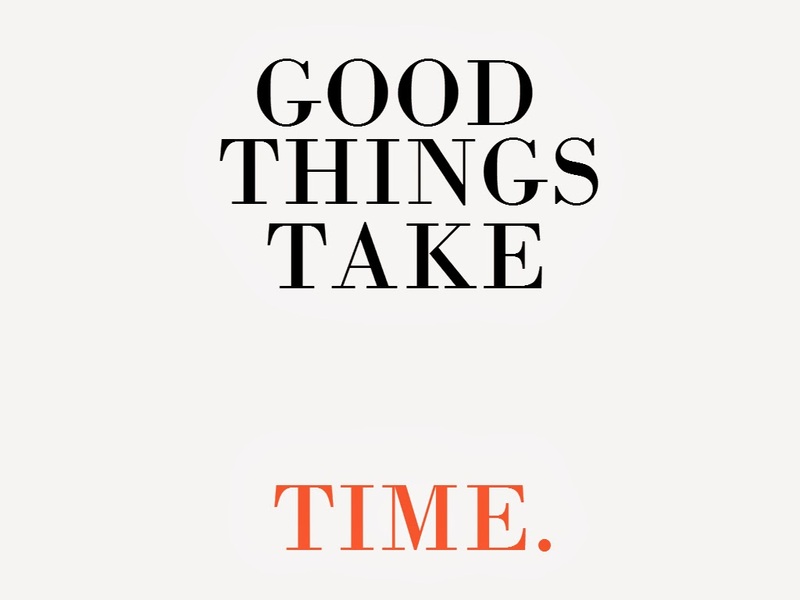 I have a small, but amazing client base right now, and I love the work I'm doing for brilliant new companies. Once I was comfortable with my list, I felt so much better. I've eliminated stress from my life and freed up time for important aspects like family, friends, and unstructured fun. I also think that sometimes ambitious people (especially our generation) get so caught up in achievement, goals, work life, "making it," we forget to live. With every tragic incident of a family member or friend, I'm reminded of just how short life truly is. And I've learned from mentors and those I admire that if you have the drive and a plan, you will be successful. 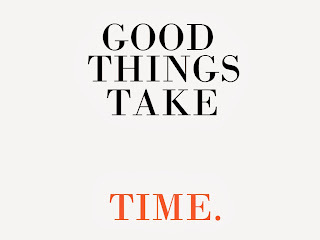 So don't waste too much time stressing about the small failures, setbacks, or indecisiveness. The rejection I've faced has been the most rewarding form of growth in my professional and personal life. Going for your dreams should be an enjoyable collection of life moments. I think that's the true meaning of living your dreams. Yes, you can achieve all of your dreams. Just not all at once. 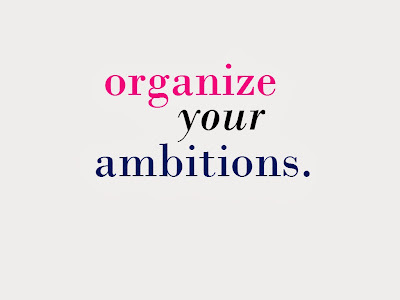 Organize your ambitions. Have you ever felt over ambitious and overwhelmed? P.S. Last few days to enter my Anthropologie giveaway! You are doing some great things! What a problem to have to narrow down all the accomplishment you will continue to pursue. Just keep up the good work and try to keep a balance so you don't burn out. Great post dear! I enjoyed reading this. Looking forward to seeing your future posts. What Kenny Hearts, a Lifestyle Blog by Kenny. Organization is key. Trying to do everything at once can definitely be overwhelming. You're on the right track. And cast your sight far ahead. Now I'm going to see what's eating in Atlanta. Thanks for posting and feel free to drop by me too anytime. Organization is definitely plays a big part in almost anything! This was such a great post, thank you for sharing! Great post! I have entirely too many things going on and there is no way that I can successfully do all of them - way to put it in perspective. You do sound busy! This was a great post! I'm so inspired by you! i definitely feel that way many times!! thank you for stopping by and making my day. i mean that! Yes, it can be SO hard to be an ambitious person and care about success! Very stressful. I am glad to see you relate. I think your plan of attack is BRILLIANT. I've gotten better at saying no to things and it helps so much. Real College Student of Atlanta, Inc. All Rights Reserved. Powered by Blogger.